Cats and dogs that wander on to field sites can become cherished companions — but their presence isn’t always welcome. Archaeologist Louise Hitchcock went to Israel in 2017 to look for artefacts from the Iron Age. She also found something else — a large dog who wormed his way into her heart. The mongrel was skinny and skittish when he appeared at the dig site where Hitchcock, who studies Greek prehistory at the University of Melbourne in Australia, was working. A previous owner had apparently dumped him, and no local family wanted him. “I liked him, and I just couldn’t let him be abandoned again,” Hitchcock says. Apprehensively, she shipped him home. 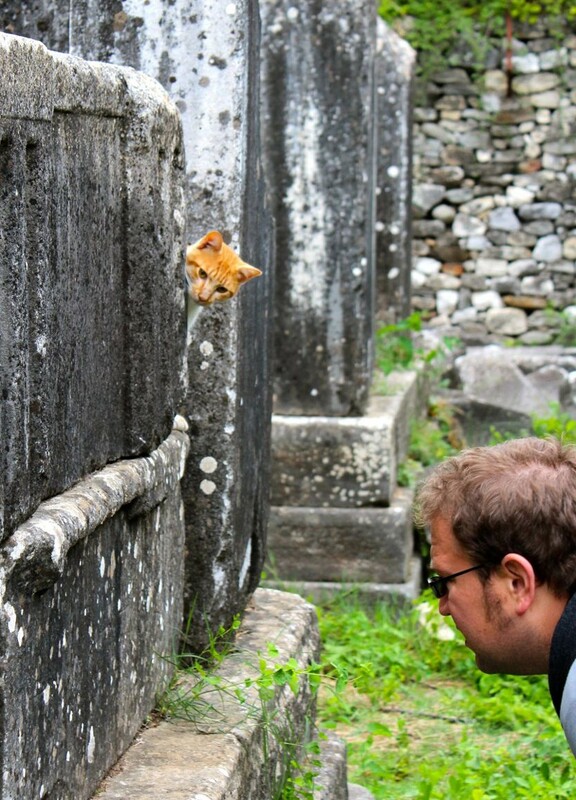 Like Hitchcock, many researchers spend substantial time in the field, where they might confront large numbers of apparently homeless cats and dogs. For some scientists, animals that wander up to a research site provide welcome companionship. But they can also pose a direct threat to scientific projects (see ‘Hounded and harassed’). Free-roaming cats and dogs imperil some native species, complicating the work of scientists who study those creatures. Published studies say that dogs have contributed to the extinction of 11 vertebrate species (T. S. Doherty et al. Biol. Conserv. 210, 56–59; 2017) and cats to the extinction of at least 63 (S. R. Loss and P. P. Marra Front. Ecol. Environ. 15, 502–509; 2017). Dogs and cats not only eat native species; they can also transmit fatal diseases. When Abi Vanak began studying the interactions of wild carnivores at a nature reserve in India, he set up camera traps to monitor the local jackals, foxes and jungle cats. Instead, dogs were the most frequently photographed carnivore, says Vanak, a conservation scientist at the Ashoka Trust for Research in Ecology and the Environment in Bangalore, India. Vanak and his colleagues presented authorities with a plan to reduce dogs’ impact, but met with little success. If he could do it again, he would present his team’s ideas to village councils, which would help to win community support, he says. Bonaventura Majolo, a primatologist at the University of Lincoln, UK, knew of two dog attacks on wild Barbary macaques, Macaca sylvanus, while he was studying the endangered species in Ifrane National Park, Morocco. In each case, the monkey that was bitten soon disappeared — an almost certain sign that it had died. Conservation biologist Joel Berger acted swiftly when he and his colleagues saw dogs chase a mother and baby takin, Budorcas taxicolor, a threatened goat-like herbivore. After the baby became stranded in the middle of a river at Jigme Dorji National Park in Bhutan, the researchers warmed it and gave it fluids. But they did not see it again, nor did they see two additional calves that had become separated from their mothers by dogs that year. “We assume that their fates are not positive,” says Berger, of Colorado State University in Fort Collins and the Wildlife Conservation Society in New York City. In many countries, cultural attitudes rule out the killing of invasive predators to protect wildlife, Berger notes. He urges researchers whose study animals are at risk to work with local conservation groups and government officials. He also recommends that scientists publish studies about the impact of dogs and cats to help motivate governments to act. Free-roaming ‘street dogs’ number perhaps 300 million globally, says Andrew Rowan, chief scientific officer at the Humane Society of the United States, based in Washington DC. Studies of ‘street cat’ numbers are limited, but Rowan’s self-described “crude estimate” of the worldwide cat total is 700 million; this includes cats that live in a community setting and those claimed by humans. Inevitably, some of these street animals are hurt or sick, prompting some scientists to intervene or even to adopt one. Yet helping a suffering creature while in the field is not always easy. Time is often limited, and a step that would be simple at home, such as taking an injured animal to a vet, can be daunting in a region where such services are scarce. But social media — which provides easy access to information and resources — and a growing global network of voluntary groups have eased the path for scientists who are troubled by the plight of needy animals. The lives of free-roaming animals — and local attitudes towards them — vary enormously. In parts of the Caribbean, street dogs are well nourished and treated affectionately, says ecologist Ryan Boyko, who heads the canine DNA-testing company Embark Veterinary in Austin, Texas, and has sampled DNA from street dogs in nearly 40 countries. But in other places, such as parts of Africa, street dogs are emaciated, riddled with open sores and covered with parasites. The dog that ultimately found a home with Hitchcock was, by comparison, in good health. Although thin and tick-ridden, he was neither injured nor sick. His sudden appearance at the dig site, in a remote national park, led Hitchcock to suspect that someone had left him to fend for himself. Whenever possible, scientists who want to help such animals should first try contacting local groups, says Meredith Ayan, executive director at the Society for the Prevention of Cruelty to Animals International in New York City. Facebook is a good resource for finding local rescue groups. Community members are likely to know which animals that seem to be strays are actually associated with a household and don’t require feeding or care. Animal organizations with an international presence and vets might also be able to help. Many animal-welfare groups advise caution for scientists in the field when it comes to feeding animals. Indiscriminate handouts, say group representatives, might create friction with local people and disrupt animals’ routines. “Once you leave, these animals don’t have food again,” says Joy Lee, who until the end of 2017 was based in Ahmedabad, India, where she worked for Humane Society International, an animal-protection organization that is active around the world. That fate was exactly what Hitchcock feared for Fred and a second dog that appeared with him. “People were turning them into pets,” she says. “I thought, ‘In three weeks we’re going to leave and they’re just going to be discarded again.’ ” It seemed unlikely that Fred and his canine companion Fi belonged to the closest village, which was five to ten kilometres away. Besides, Fred was timid, whereas the local sheepdogs were so aggressive that, for her own safety, Hitchcock feared to approach the shepherds to make enquiries. Worried about Fred and Fi’s future, she and others began working to find them homes. Researchers who, like Hitchcock, are troubled by the plight of such animals might want to support local vaccination drives. And many animal-welfare advocates recommend campaigns to sterilize free-roaming animals and return them to the community. But such trap-neuter-return, or TNR, programmes are controversial: modelling suggests that they can curtail populations in suitable areas, yet sustained success requires intense and long-lasting efforts, and few TNR programmes are rigorously monitored (P. S. Miller et al. PLoS ONE 9, e113553; 2014). Meanwhile, the number of community organizations devoted to animal support is rising. In many parts of the world, the chance of finding a local partner is much higher than it was even five years ago, says conservation biologist John Boone at the Great Basin Bird Observatory in Reno, Nevada, who has studied the population dynamics of street cats. And scientists who want to do more than donate money to support inoculation and other solutions can help in other ways. 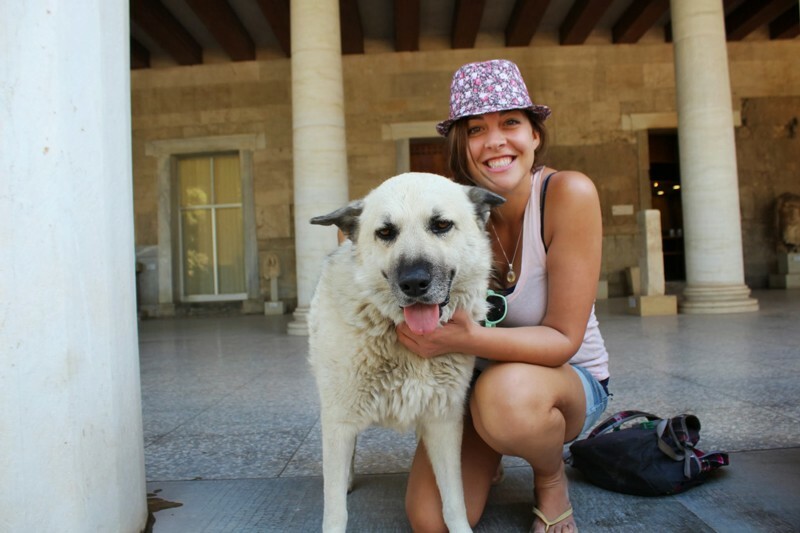 On two trips home to Toronto, Canada, from a field site in Greece, archaeologist Chelsea Gardner’s checked luggage included five large kennels, each holding a dog bound for an adoptive or foster family. Non-profit groups, such as Canada’s Paws Across the Water, arranged the placements, often through social media. A researcher who spends an extended period at one site can help by providing a foster home. Archaeologist Maria Liston of the University of Waterloo in Canada, who does field work in Greece, donates money to Nine Lives Greece, a local group. She also fosters cats in her Athens apartment — so many last year that “I lost track, honestly,” she admits, before guessing that the number was between 15 and 20. Then there are the scientists who, like Hitchcock, fall in love with an animal. Among them is Ovee Thorat, a PhD student in conservation science and sustainability studies at the Ashoka Trust for Research in Ecology and the Environment in Bangalore, India. When a scrawny kitten began loitering at Thorat’s field station in Gujarat, about 1,500 kilometres away, the scientist felt compelled to help. She fed the kitten, dewormed her and named her Billo, a Hindi word that translates roughly to ‘beautiful girl’. Billo returned the favour, staying close to Thorat during the weeks and months when no other researchers lived at the field station. When Thorat finished her fieldwork, she could not take Billo with her to her shared city apartment. So she asked the field-station staff and research crew to take care of her pet. Billo became the darling of the field station, where she is fed and cosseted. Moving a new pet to a distant country is trickier than passing it on to colleagues. A scientist shipping an animal from India, for example, should set aside US$2,000 at a minimum, Lee advises, though the costs will depend on the destination and airline. Securing permits in India is complicated; the alternative is an Indian pet-shipping company that can handle the red tape. After deciding to adopt Fred, Hitchcock turned to Terminal4Pets, an Israeli pet-travel agency, to help arrange his journey. The paperwork was minimal, but the costs were not: they came to about Aus$7,000 (US$5,500), most of it for Fred’s flights, his six-month quarantine in an Israeli kennel and a 10-day quarantine in an Australian kennel. In some places, taking home a furry companion is easier than it was once. A single ‘pet passport’ is accepted by every country in the European Union and applies to dogs, cats and ferrets travelling between member states. The United Kingdom no longer imposes a six-month quarantine on incoming cats and dogs that have EU passports. Dogs imported to the United States are exempt from the federal requirement for a rabies vaccination if departing a country without rabies. Adopted animals from war-torn countries can experience something akin to post-traumatic stress disorder, Ayan says. “It takes a while for the stress to wear off,” she says, and in a few cases, animals cannot adapt to their new homes. Fred takes anti-anxiety medication, although Hitchcock hopes to end the regimen within a year. Sometimes intervention leads to a happy outcome. Fred, for example, initially feared car rides, vet visits and lifts, and Hitchcock worried that he’d chew up the house and clash with her little terrier. Now, he is outgrowing his anxieties, he doesn’t chew or bark and he doesn’t attack Hitchcock’s other dog. Another story that ended well began on Gardner’s excavation site in Greece, when she and a friend started caring for two starving, tick-covered puppies. 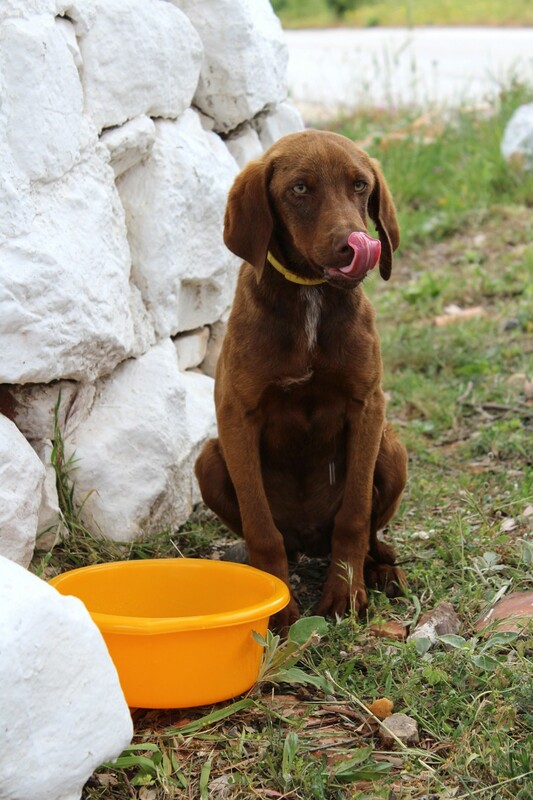 The closest shelter was far away and overrun with dogs, so the researchers fed the puppies, gave them flea and tick medicine and acclimatized them to humans in the hope that someone would adopt them. Wary of getting attached, the scientists called them only Brown Dog and Black Dog.